The Atacama Large Millimeter Array (ALMA), a radio observatory in the Atacama Desert in Chile, has made it far easier to study protoplanetary disks. 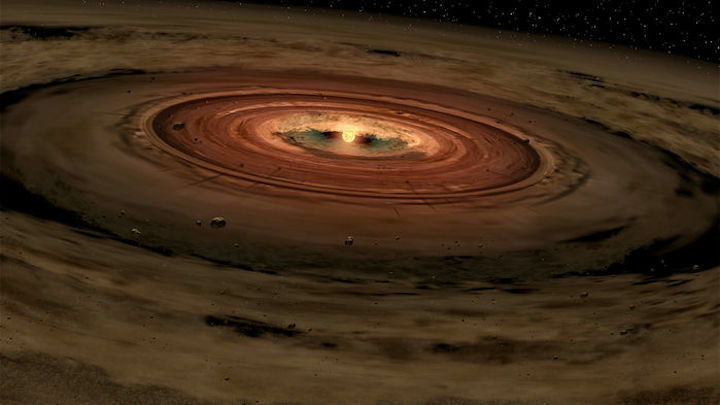 In the new study, astronomers led by Carlo Manara of the European Southern Observatory in Munich, Germany, used ALMA to compare the masses of protoplanetary disks around young stars between 1 million and 3 million years old to the masses of confirmed exoplanets and exoplanetary systems around older stars of equivalent size. The disk masses were often much less than the total exoplanet mass—sometimes 10 or 100 times lower, the team will report in an upcoming paper in Astronomy & Astrophysics .